Private Investigator Greenville SC - Stillinger Investigations, Inc. 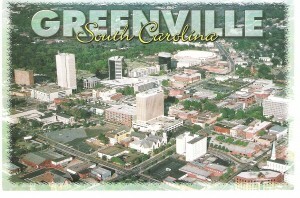 Looking for a Private Investigator Greenville SC? If so, Stillinger Investigations provides a team of professional, licensed private investigators who have a combined experience of over 50 years of investigative service in South Carolina and surrounding areas. SI’s team is dedicated to meeting your investigation needs and uncovering the truth. Investigating Adultery and Infidelity – We can minimize the stress and uncertainty of knowing whether or not you have a cheating spouse. Any information obtained can potentially assist you in court or when handling legal matters. It can also be a great weight off your mind knowing one way or the other if you have a cheating spouse. Child Custody – Our confidential monitoring service will tell you how your child is being treated by another parent or guardian, and the information obtained can be invaluable in a child custody issue. We work with your attorney to get the admissible evidence you need for your day in court. Counter Surveillance – Our sophisticated technology can identify hidden surveillance equipment and tell you if someone is investigating you. We use the latest in technology and most reliable and cost effective device in the industry, the OSCOR. The OSCOR is designed to detect all major types of audio and video RF transmitters (even frequency-hopping, burst/packet, and spread spectrum) and can be easily used in businesses, homes, garages, vehicles, etc. to pin-point a location of the listening device(s) for removal. Database Research – If you need to track someone down or simply find out something about them, our experts can help you. We are equipped with the knowledge and tools to find out information that can be helpful when facing a divorce, custody battle, workman’s compensation claim, etc. Hidden Cameras – Our cameras are virtually impossible to locate and detect, and can help you to record fraudulent activity at work or at home. Experienced and licensed PI’s will then review the footage with the latest hidden camera software to capture the evidence you need. GPS Tracking – Track your subject’s whereabouts using the latest technology. Whether you have a cheating spouse or an employee misusing a company vehicle, we can track down their location at anytime and complete in-person surveillance as needed. Digital Forensics – We can access information from electronic devices that someone perhaps didn’t want to be accessed, using our state of the art equipment. Our state of the art technology allows us to perform forensic analyses on computers, tablet PCs, smartphones, and cellular phones, as well as other digital storage devices. Criminal Defense Investigations – We can guarantee you have the best defense when your lawyers represent you in court, by looking closely at all the circumstances of the case. Need more information directly from a Private Investigator Greenville SC? Contact one of our expert PI’s today, at 803-400-1974, for a no obligation assessment of your needs!